Well hopefully we have now secured dry weather for our field trips for the rest of the year by suffering a little on Tuesday night. For those of you who couldn't make it we started dry and ended up more than a little damp - in body but not in spirit! For those who could make it I hope you have dried out a little by now. Thanks for coming - what a fabulous spread we had on the table before the rain came. Follow this link for more pictures from our "summer" picnic! Just a reminder that we are having an evening get together on the beach by Lostwithiel Bridge next Tuesday (27th June) from 6.30pm. This is a chance for all group members, including those who have not been able to join us on field trips recently, to catch up with each other. The plan is for everybody to bring along a few nibbles and a drink of whatever they fancy. Cameras are optional! The field trips calendar has been updated. See Link above. The next event being Sunday 18th June for the Pony Club one day event at Lanhydrock and thereafter on the 22nd June a trip to Godrevy (field trip sheet attached). On another matter don't forget our photography group mid-summer celebration on 27th June at 6.30pm. We will meet by Lostwithiel bridge (poster attached). I gather you had a great day at Coleton Fishacre and the weather was extremely kind. Thanks to all who attended. Our next platform meeting will be on Thursday 15th June. A good turnout at the platform yesterday and thanks to everyone who bought their photographs along, its always enjoyable to see your work. 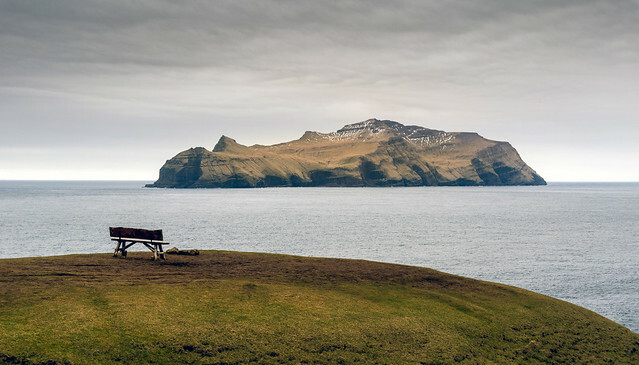 In particular thank you to Lindsay for her photographs of the Faroe Islands and could this be a future photography group trip (joking but then anything is possible). 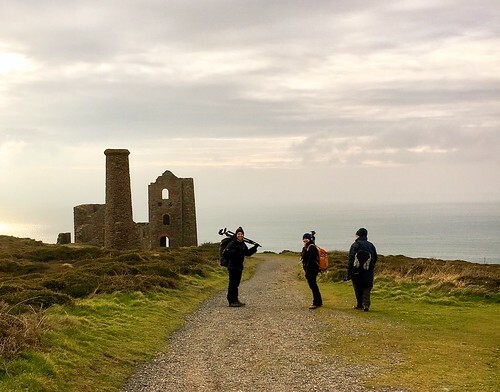 Our next field trip is this coming Thursday to Coleton Fishacre and Marion also mentioned a possibility of going to Daymark Tower which is nearby in the evening for sunset photographs. As regards future trips, there's a pony club one day event on Sunday 18th June at Lanhydrock which could well be worth going to. On the 15th June is our usual 3rd Thursday platform meeting. Our field trip on 22nd June will be to Godrevy to photograph the Thrift. Thanks to Marion and Lindsay for organising this trip. I'm looking at other possibilities one of which could be a day with David Chapman and Carla Regler at Kennal Vale but I am waiting to hear back on that one. Because I work full time and because we are a self help group, I am looking for others who would like to organise trips so please send me any ideas you have. Also possibly another Westcountry Wildlife Photography Centre trip although this will be limited numbers and I will of course try and arrange other days with the likes of Ross Hoddinott and David Chapman as well as others. We saw some good photographs on our last set subject of dereliction and after discussion our next one will be pets/animals so see what you can find between now and our 15th June meeting. I hope you all have a good time at Coleton Fishacre and I look forward to seeing you at the next platform meeting. I gather all went well on recent field trips to Lost Gardens of Heligan and Tamar Otter and Wildlife Park. Many thanks to Jennie M for leading these trips. Our next field trip will be to Coleton Fishacre on the 25th May and a field trip sheet is attached. As mentioned in my last communication, we will have our normal platform meeting at 2pm on Thursday 18th May when we can catch up and plan future trips. The bluebells at Lanhydrock are probably just right at the moment so you may wish to make your own way there or if someone would like to lead a trip there please let me know and I will publish it to the group. Just a reminder that there will be a day with David Penprase and Carla Regler on 7th September, David in the morning and Carla in the afternoon. I already have a lot of interest so this is filling up fast and if you are keen to go on one or both of these please let me know as soon as possible. Other than that I look forward to seeing you all at the platform on the 18th. Just a reminder that our next meeting on 20th April will not be at the platform but at Heligan Gardens. A field trip sheet is attached. Our usual 4th Thursday (27th April) field trip will be to Tamar Otter Sanctuary and again a field trip sheet is attached. Lynda has mentioned a couple of possible photographic opportunities. The East Cornwall Hunt Point to Point on Saturday 29th April and the North Cornwall Hunt at Lanhydrock on Sunday 14th May. Lynda has kindly put together some notes regarding the events and meeting times. I attach Lynda's notes and hope you are able to come along. One of the events is at Lanhydrock which reminds me its approaching bluebell time and I will keep you posted to a possible additional trip there one evening. 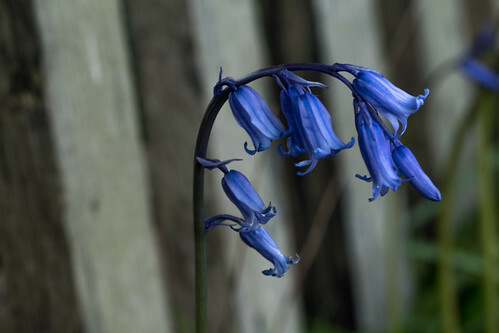 If anyone is able to advise regarding the progress of the bluebells please let me know and we will try and pick the best date. 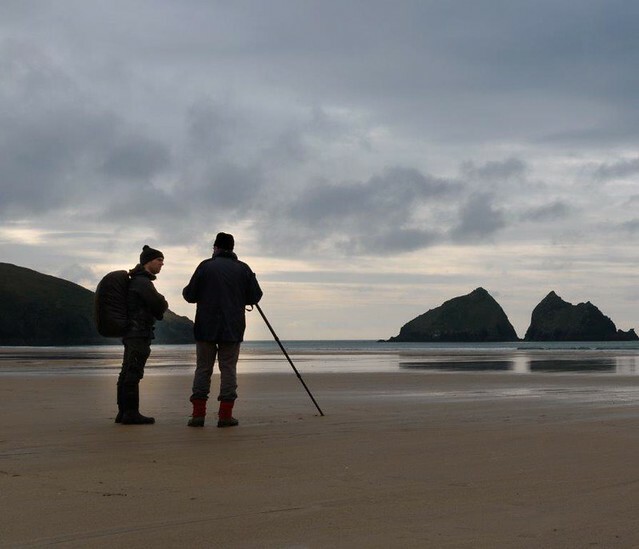 Finally, Lindsay has suggested a photography group mid summer get together at Lostwithiel Bridge Beach this will be on 27th June from 6.30pm so please come along. Bring your favourite tipple and something for the sharing picnic. I will send a reminder on this later on. In the meantime keep taking plenty of photographs. This coming Thursday 30th March is a trip to the hides at Walmsley Marsh. Unfortunately I won't be able to attend but Adrian Langdon will meet you at the bridge (location attached) at 2pm and will accompany you across to the hides. Adrian has recommended bringing waterproof footwear as there is a moderate trek across the fields and they could be wet so wellies might be preferred. Adrian has suggested there maybe other things to see on the way across such as butterflies so it may be worth you taking a macro lens as well. Please be aware that car parking is very limited and as such car sharing is strongly recommended. I would suggest taking a flask and something to eat as its a pleasant way to spend a few hours watching the wildlife go by. Our next field trip (in lieu of our usual 3rd Thursday platform meeting) is to the Lost Gardens of Heligan and I look forward to seeing you all there (field trip sheet attached). Our usual 4th Thursday field trip will be to Tamar Otter and Wildlife Centre. I had given a number of choices for this date and those who have replied have all said they would prefer the Tamar Otter and Wildlife Centre so a field trip sheet is attached. Its great having the lighter evenings and the opportunity of spring photography. I gather you had a good day at Mount Edgcumbe despite not having the best of weather and thank you to Jennie M for arranging this. Yesterday some of us had a morning with David Penprase and an afternoon with Carla Regler. The time with David was well worth while and I gained the impression those of you who were there benefited from his appraisal of your photographs. I suggested to David perhaps we could all meet again in a few months to review your progress and he is more then willing to do that. David and Jan also provided us with a very good lunch and I am extremely grateful to them for their hospitality. 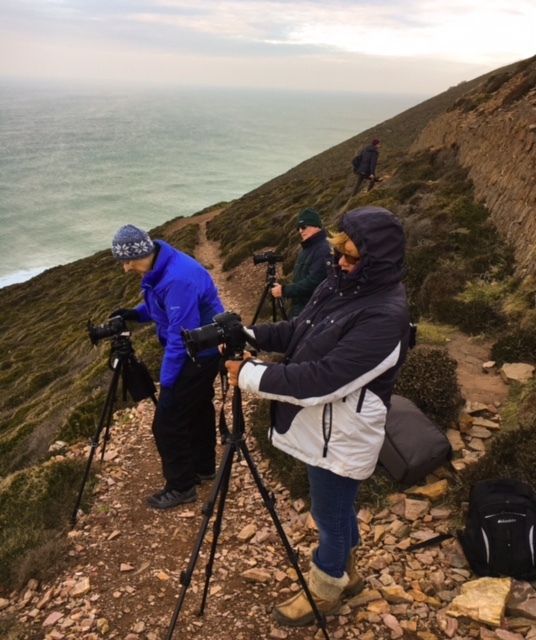 The afternoon with Carla Regler was very good and enlightening, despite the increasingly poor weather but as they say, we make the best of what we have photographically and again I am hoping those of you that attended benefited from the experience. I have asked Carla to let me have another date for an afternoon with her and she has also agreed to give us a whole day on The Lizard so once I have these dates I will issue them. The numbers will be limited and as usual I will take applications on a first come first served basis so watch this space. A few of us have a day at Westcountry Wildlife Photography Centre and this proved very popular last year. If there is sufficient interest I will ask Jennie Barnes to arrange another one but thanks to Jennie for sorting this one out for us. We then have a day with David Chapman at Tehidy Woods on 13th April but again this is limited numbers and already fully booked. Once more thanks to Jennie Barnes for organising this. In lieu of our next platform meeting on 20th April, I have suggested another trip to Heligan and will send out a field trip sheet nearer the time. For our usual 4th Thursday field trip on 27th April I have suggested either Screech Owl Centre or Tamar Otter Sanctuary. There is also The Cornwall Birds of Prey Centre and I would appreciate some feedback as to a preference for any of these venues or indeed any others. I am really pleased to see how the group is flourishing and proud of what you are all achieving so keep taking photographs. 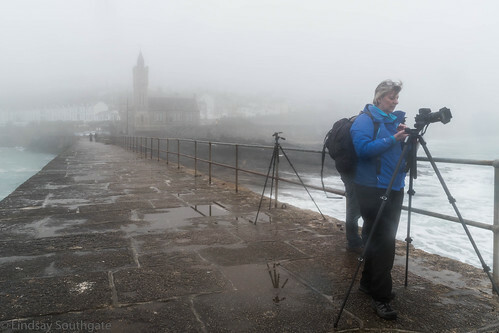 I gather those of you on the first group had a good afternoon with Carla Regler in Porthleven last week and that you found the experience worthwhile, despite the weather conditions. The next trip to see Carla is on the 23rd March and there will be a morning for some of you with David Penprase. I will contact those of you booked in for these separately nearer the time. Don’t forget our next field trip will be this coming Thursday 16th March at Mount Edgcumbe (led by Jennie M) and this will be a substitute for our usual platform meeting. I know some of you are interested in progressing Royal Photographic Society distinctions and it has been suggested that a small group could be formed to help each other on this journey. It has been decided to have a monthly meeting to progress this group and the first of these has been arranged for Monday 3rd April at 6.30pm here at Lanlivery Cottage. If you would like to join this group then please let me know so I can be aware of numbers. Lindsay has ordered 3 RPS portfolio books as part of the grant we have and she can lend these out to those interested. As with the March meeting, our 3rd Thursday meeting in April will be out and about again rather than at the platform and you will see I have opted for Heligan and Mevagissey. I know we went there recently but it was a cold day to say the least and hopefully by April there will be plenty of flowers and other things to photograph in kinder weather. For those of you who are not aware, I'd like to mention there is a new photography programme on BBC 4 starting at 9pm this evening (March 6th) Its called Britain in Focus: A Photographic History and I feel it would be well worth watching or if you can't certainly recording or catching up on iplayer later. We have an afternoon with Carla Regler this coming Thursday and I will contact those of you who have booked into this separately. If you don't hear from me today but think you are booked on the 9th March trip with Carla then please let me know straight away. Our next field trip will be on 16th March in lieu of our usual platform meeting. This will be at Mount Edgcumbe and thanks to Jennie M for organising this. A field trip sheet is available at https://goo.gl/Qo8nx7 I look forward to seeing you all there. I gather you had a good day at Tavistock last week. I’m sorry I could not attend but many thanks to Jasmina for arranging and leading this trip. 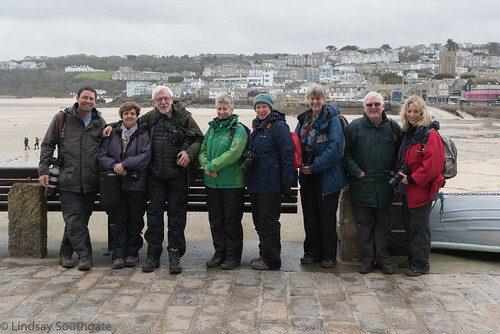 A few of us had a really good day with David Chapman down at Marazion and St Ives. It was a very early start but well worth it. The days with David are always very popular and fill up quickly. The forthcoming trip at Tehidy Woods is already booked but I have asked David to think about another day out later in the year so watch this space. I had suggested a brief afternoon meeting this coming Friday at Lanhydrock to do some flower photography. The weather does not look particularly good with light rain all day forecast but I will be there at 2.30pm unless the weather looks really bad. If it is cancelled I will email you in the morning so please check your inbox before going. I suggest we meet in the main car park near the entrance at 2.30pm. This month we have a meeting with Carla Regler on Thursday 9th and I am just waiting to hear from Carla regarding timings and a meeting point. Once I know this I will contact those of you that who are booked in for this day and give you all the details. On 16th March we have no usual 3rd Thursday meeting at the platform but we will be going to Mount Edgcumbe and I will send out a field trip sheet on that one later. Many thanks to Jennie M for organizing it. On 23rd March we have another afternoon with Carla Regler and again once I know the information I will send details to those who are booked on it. In the morning, we have some time with David Penprase and again I will contact those who have booked in for this nearer the time. An illustrated talk by world renowned Nature Photographer Georgina Strange. Venues = March 1st. 7.30pm. Wadebridge Town Hall. The Platt, Wadebridge. March 2nd. 7.30pm. Chacewater Village Hall, Chacewater, Truro. March 7th. 7.30pm. Cuddra Hall, St Austell. We had a great day at the platform last Thursday with a really good turnout. Many thanks to Lindsay and Jane for their guidance on the Licentiate of the Royal Photographic Society and I hope some of you will be encouraged to follow this route. As you will be aware, Caroline and I will do all we can to help you. David Platt had suggested that those of us interested in the Licentiate could go to one of the advisory days as spectators. The next one is on 23rd April. This is full for those wishing to submit work but there are still spaces for spectators. The cost is £10 and the venue is The Dolphin Hotel, Bovey Tracey. The following one is on 25th June and this is being held in Guernsey so unless we want a special photography group trip is probably out of the question. The last one in the year will be on the 25th November again at The Dolphin Hotel. If any of you are interested in going to one of these as a spectator, all the information is on the RPS Southwest website www.rps.org/regions-and-chapters/regions/south-west or I can organise it for you. There are alot of other events coming up as noted in the field trips calendar at the top of the page. I've spoken to Adrian Langdon and have arranged a trip to Warmsley Marsh to spend a comfortable afternoon in the hides there. This will be on Thursday 30th March at 2pm so please put it in your diary. 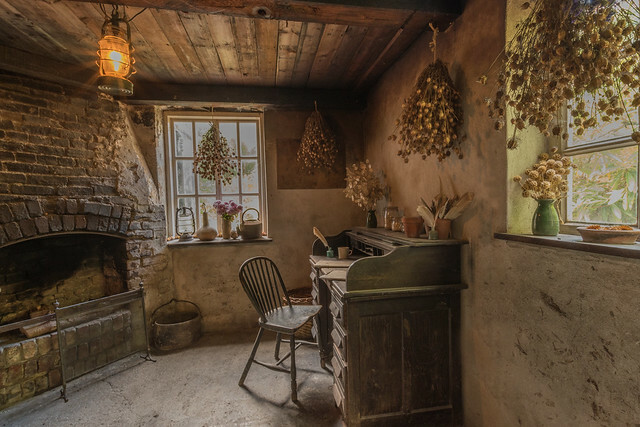 We also talked about an afternoon practising flower photography and to this end I would suggest Friday 3rd March at say 2.30pm at Lanhydrock. It would be helpful if you would let me know if you are interested in both or either of these trips particularly the Warmsley Marsh afternoon. Watch this space as I will be arranging other things and as discussed at the meeting possibly a portrait session with the assistance of Claire who can hopefully arrange some models and a make up artist. We talked about our subjects for this month (which will be reviewed at our next platform meeting on 20th April, 16th March being replaced with a field trip to Mount Edgcumbe). The subject will be dereliction, i.e old building and the like. Also keep an eye out for Boconnoc flower show as they have a very good photography section should you wish to enter. The details are at www.cornwallgardensociety.org.uk the entry form can be downloaded from the website and the deadline for entries is Wednesday 22nd March. I have now heard from Ross Hoddinott regarding the Macro at Rosemore RHS and have contacted those who who have expressed an interest. As the event is only for 5 photographers this has been somewhat over subscribed and I have asked Ross for 2 dates, these being 29th June and 6th July. I will contact those who expressed an interest in this separately. If you are not on my list but would be interested in the day then please let me know and I will put you on a reserve list. Those of you that went with Ross to West Cornwall last Friday had a really good day I believe and I have contacted him regarding another day. This will be to Exmoor on Monday 16th October. I suggest this could be an overnight trip. As usual the number will be limited to six so please let me know if you are interested. I look forward to seeing you all next Thursday. We had a good meeting at Lost Gardens of Heligan yesterday, despite it being rather cold and windy. If I remember rightly, Heligan was the first outing when the photography group was formed some years ago and being right on our doorstep I am inclined to over look it. However, as mentioned before I would like to try and replace some of the platform meetings on third Thursday with an outing and Heligan could be one of these. 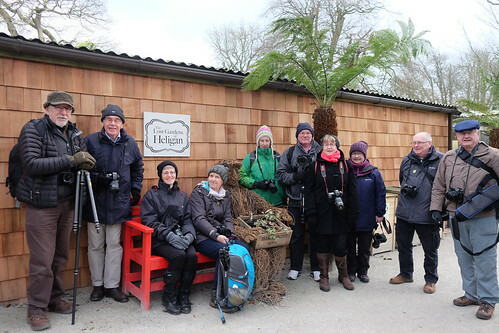 Due to various changes in the programme the March third Thursday meeting (16th) will be to Mount Edgumbe & Anthony House led by Jennie M. So I would suggest we make Heligan on the April third Thursday (20th). I've adjusted the field trip calendar to suit and a copy is attached. 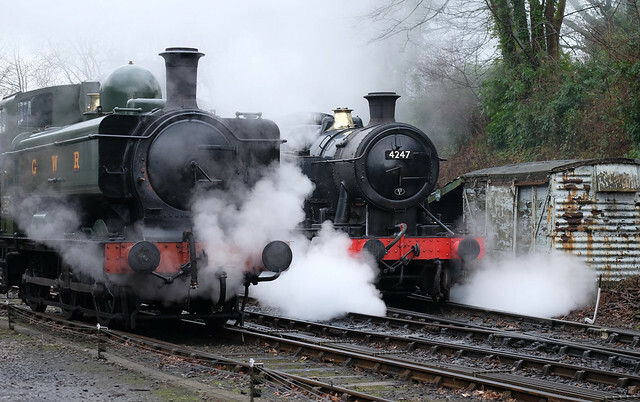 Thursday 16th February meet at the platform and don't forget to bring your 'Spring flowers' photographs. During March there are various meetings with David Chapman, Carla Regler and David Penprase but these are now fully booked and I will contact those signed up individually nearer the time with arrangements if you are interested in any of these I can put you on a reserve list or indeed arrange other such days. We had our first platform meeting of the year yesterday which was very well attended and thanks for those who brought along their photographs for us to look at. This is a rather long newsletter as there is a lot planned for the coming year. At the platform meeting we discussed some tutorial options for the 3rd Thursday meetings at the platform or elsewhere and these could include Macro, a portrait section, wildlife photography, night photography/star trails etc. I'll look into various subjects and see what I can sort out for these. We went through the forthcoming events and field trips (calendar attached) and the first of these is next Thursday 26th January where there is a change of plan. In previous years we have had a go at night photography but this time I have suggested a visit to Lost Gardens of Heligan during the day and then down to Mevagissey late afternoon to take some low light/night photographs around the harbour. Field trip sheet is attached. Our 23rd February field trip is to Tavistock and West Dartmoor being organised by Jasmina and a field trip sheet is attached for that one. On 1st March we have a day with David Chapman www.davidchapman.org.uk at Marazion but there are limited numbers and this is already booked. However, if you are interested please let me know and I will put you on a reserve list just in case. 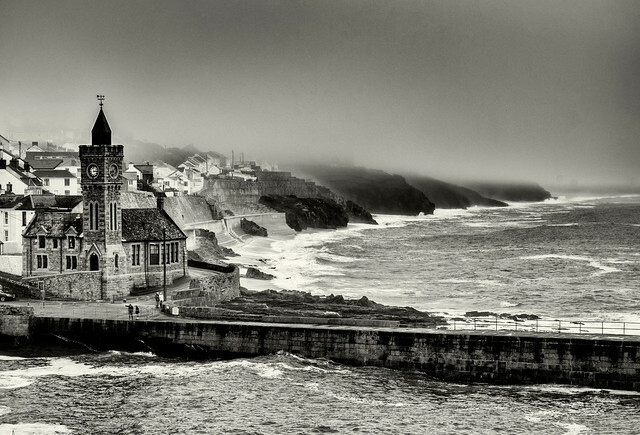 On 9th March we have a trip to Porthleven to see Carla Regler www.carlaregler.com and Lindsay is leading this one. I will send an information sheet on this nearer the time. There is also another afternoon with Carla Regler on 23rd March but this is now fully booked. I've also organised a morning with David Penprase on the same day. As explained previously, he is retired but was previously chair of a fellowship panel of The Royal Photographic Society and has extensive knowledge. He has written a number of books and has received many awards for his photography. I felt this might be a good opportunity for anyone wanting to get some feedback on their work and in particular anyone who is looking to go for Photographic distinctions in due course. Numbers are limited and this is fully booked but I can put you on a reserve list as I will be arranging another day with David later. We had a great day at the West Country Wildlife Photography Centre last year and Jennie Barnes has arranged another one for Tuesday 4th April. There will be limited numbers and ideally no more than 8 to give everyone a chance without getting in each others way. Therefore this will be on a first come first served basis and the cost for the day will be £48 each. I need an early decision and deposit for this one in the next week. Jennie has also arranged a day with David Chapman on Thursday 13th April at Tehidy Woods and again with limited numbers so please let me know as soon as possible. The cost will be about £12 each. I've had a request to look into the possibility of Macro workshops and I have provisionally arranged a couple of these. The first one will be a day with Ross Hoddinott www.rosshoddinott.co.uk who as many of you will know is a Macro specialist and has produced some fantastic insect photographs. On this trip we would meet at Rosemore RHS Gardens during the day and then in the afternoon a nature reserve for insect photography etc. The number of places will be strictly limited to 5 and the cost will be £75 each. I have no dates organised yet but it would be May to July. If you feel you might be interested in this trip please let me know and I will put you on a list. Once I know the dates I will advise those interested and it will then be sorted on a first come first served basis. Another trip I have planned where there is no limit on numbers so bring friends and family is a day at Lethytep with David Chapman. Those of you who have been to Lethytep before will know what its like but if you haven't been have a look at the website www.cornwallwildlifehaven.co.uk. I feel this is an opportunity not to be missed. The cost for this one will be a donation which I would suggest is a minimum of £10 plus Davids travelling cost so say £15 each depending on how many are going. Those of you that have been before will know that this will include good helpings of cake, scones, tea etc, the life blood of the Photography Group! I will contact you nearer the time regarding this one to see how many will be going and I will also open it to the garden group as well. Therefore, lots to look forward to in the coming year. An updated field trip calendar for 2017 is attached. 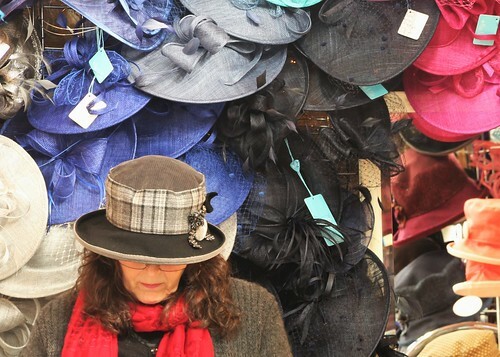 The Carla Regler days on 9th and 23rd March have proved quite popular and I would like to add something else to these. On 23rd March we will be seeing Carla in the afternoon but in the morning some of you may like to come with me to meet David Penprase. I've known David many years and until he recently retired was chair of the Royal Photographic Society Fellowship panel. I've asked if he would see a few of us to critique some of our photographs and I'm particularly thinking of anybody who wants to progress to a photographic distinction. If you are interested in this please let me know as I would not wish to over power David with many of us and perhaps limit it to half a dozen. David has said he will provide us with sandwiches and drink whilst we go through the photographs. Therefore if you are interested in this please let me know as soon as possible. It could be for some of you to look at separately or to incorporate with the Carla Regler afternoon. As regards our January field trip I had suggested night photography but on reflection wonder if a trip to Heligan maybe of interest. I'm sure there are things to photograph there as it is open all year round and if the weather is good and we are so inclined we could go down to Mevagissey in the evening to do some low light photography on the harbour we can discuss this on Thursday. Finally, I've been in touch with David Chapman and he has offered us a full day, dawn till dusk on Wednesday 1st March starting at 6.30am at Marazion and finishing in the evening at St Ives. David has suggested limiting the places to no more than 8 so please let me know as soon as possible if you are interested in this one. I have not finalised the cost with David yet but feel it would be in the order of £15 per person which is more than reasonable for a full day in a small group with a professional photographer. First of all I hope you all had a good Christmas and wishing you all the best for the New Year. There were a couple of events over the Christmas break, the first of these being to Godrevy. Unfortunately I couldn't make this but I gather a few of you went and enjoyed some good weather judging by the photographs I've seen. 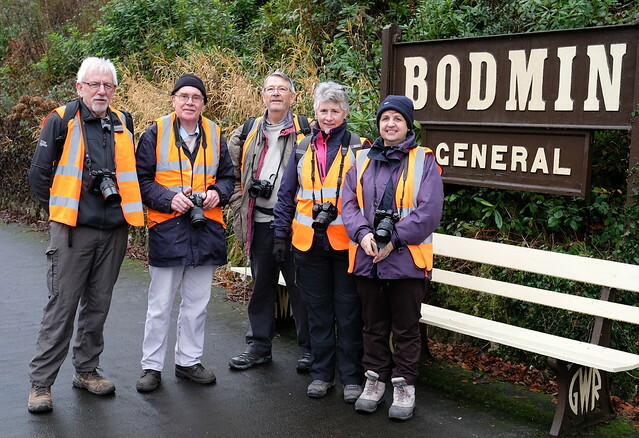 Another trip I did enjoy was a morning at Bodmin and Wenford railway kindly arranged by Peter Tandy. This was for a small group and after a safety briefing we donned our orange vests and were let loose behind the public areas in the engine sheds, along the track etc. We started at 7.30am when it was still dark and there were great photo opportunities throughout the morning. I was very grateful for Peter to be arrange this and would hope a similar event maybe possible in future. Attached is an updated schedule of events for this year, all subject to discussion and change of course. 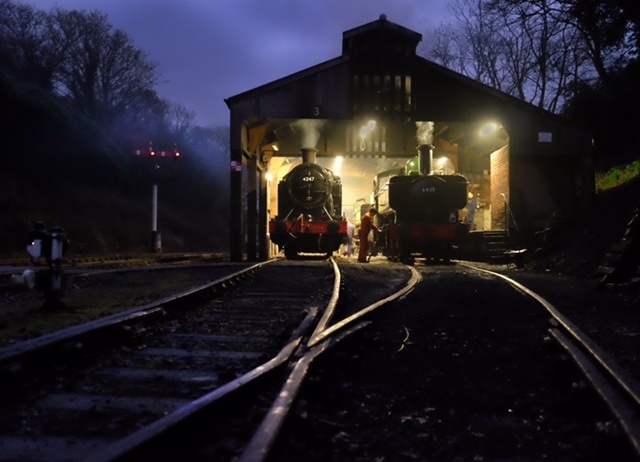 I would suggest we run through these at our next platform meeting on 19th January and I look forward to seeing you all then when we can also look at your 'Winter Scenes' photographs.